When someone dies or is killed due to the negligence or misconduct of another person, this is considered a wrongful death. Dealing with a wrongful death case can be frustrating and extremely upsetting. Letting a personal injury attorney in Houston work on your case can give you the peace of mind you need to be able to grieve and continue with your life. 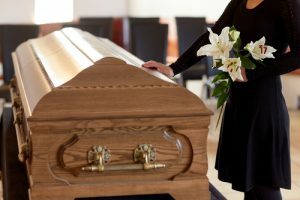 If a family member died as a result of wrongful death, then you have a right to file a lawsuit. Survivors of the decedent can file that lawsuit, including the spouse or children of the decedent, their parents, or other specified blood relatives. The decedent’s estate is allowed to bring a wrongful death action through the personal representative of the estate. In Texas, the statute of limitations states that a wrongful death claim must be filed within two years of the event. Making sure all the right paperwork and deadlines are met can be confusing and prolonged if mistakes are made. With the help of a personal injury attorney in Houston, you can make sure that no mistakes are made, and your case is heard. To start building your case, contact The Law Office of D’Ann Hinkle. She will negotiate for a settlement that may compensate for loss of support and cover the cost of the funeral as well as any medical treatments administered to the victim before death. If the decedent was a financial support to their family, compensation for that may be awarded to help with that burden. Contact the office today to schedule your consultation and discuss the next steps for your Houston wrongful death case.